It's here! 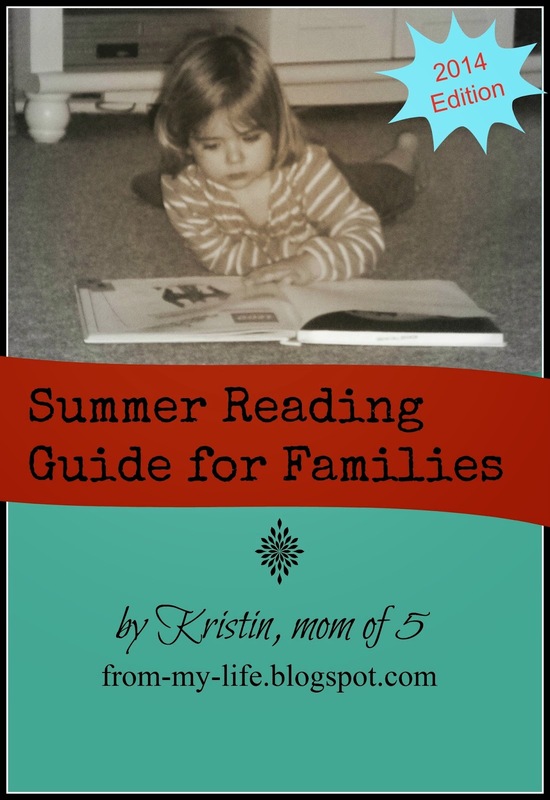 The Summer Reading Guide For Families eBook is back for 2014. Divided by category for easy navigation, it includes an eclectic assortment of choices for your reading enjoyment. All the old content is there but expanded with new recommendations and even a new category! The eBook is available to download for FREE! and includes a printable checklist that you can keep by the computer or bring with you to the library. Click on the book cover to download your copy! After reading a book listed in the guide, would you consider coming back here to let me know how you liked it? If you've read a book that you think is worth a mention, let me know that, too! Love this list! Found you by way of Money Saving Mom. Thanks! Thank you - what a wonderful list! We love All-of-A-Kind Family and are currently reading Imagination Station, so this will be perfect for when we finish and need something new to read! All-of-a-Kind Family is a gem! I read it multiple times as a child and I've read it to my kids, but it's been awhile. Might be time for a re-read. Thanks for the list!!!! Have you/your kids ever read the Boxcar Children Books by Gertrude Chandler Warner? I think they would love them!!! I read lots of them when I was a child and now my children are reading them, too. I don't think we've ever read one aloud together, but my daughter has read several on her own and my 3 oldest have listened to 4-5 on audio book. How Do You...Budget Summer Fun? How Do You...Stretch Pre- and Post-Run? How Do You...Manage Free Time in the Summer?